I remember when I was pregnant with Brody and I purchased an actual diaper bag. Young and naive, I was those six years ago. Is there an acronym for hanging my head in shame? Insert it in here, please. It was big, bulky, not pretty, and looked like something a man should take camping. Fast forward six years, four kids in my mini van later, and they are lucky if they even get a diaper, let alone a diaper bag. 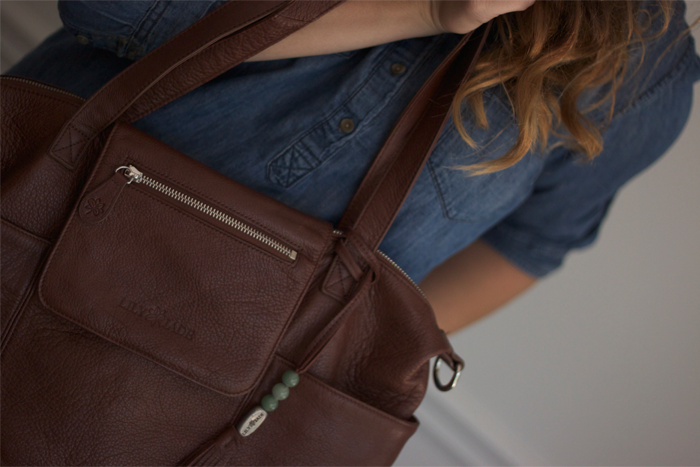 I'm always on the prowl for a great bag to toss my keys, wallet, sunglasses, wipes, and a couple sippy cups in. I am the girl who digs through the endless pit of a bag, you know what I'm talking about, mamas. And then, can you hear the angles singing?, enter Lily Jade into my life. 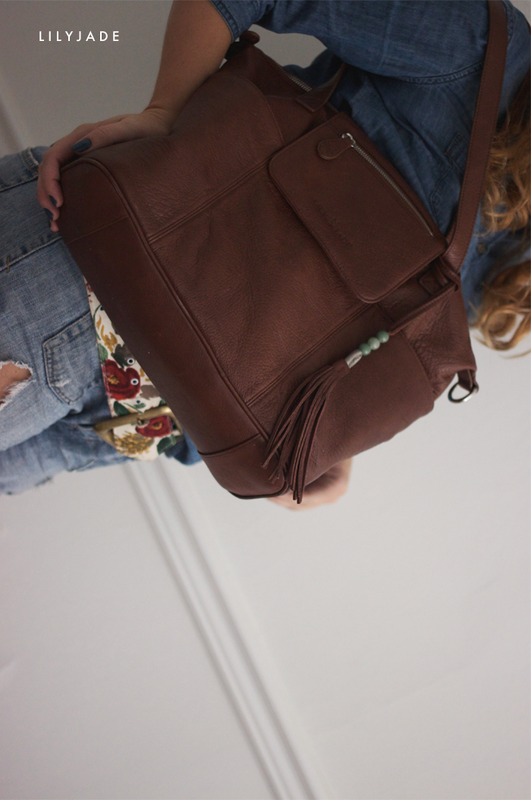 Their diaper bags are made from the most beautiful leather, have endless compartments for storage, and look nothing like a diaper bag. Can I get a hallelujah? 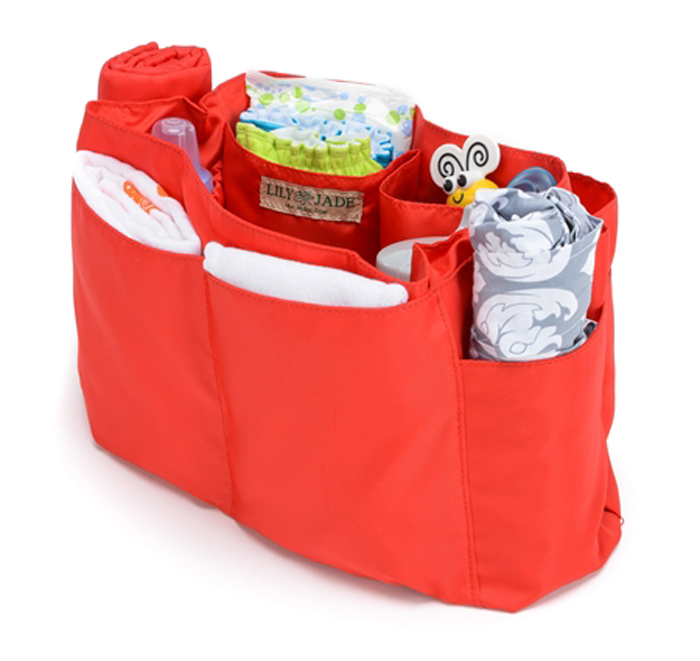 One of the best parts is that inside of each diaper bag is what they like to call the baby bag. 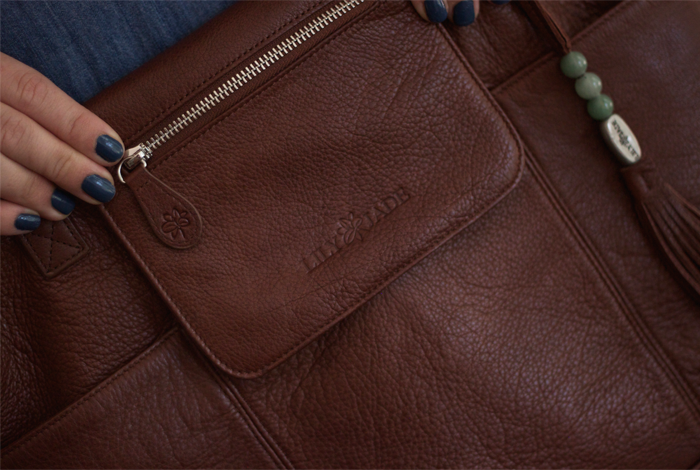 It's removable, machine washable, and has pockets for all sorts of things. Think pacifier, cell phone, lip gloss, and baby toys. All sorted out. Take a moment to think about how great it is to be able to wash the inside of your bag that will most certainly be covered with coffee, cheerios, and some very unpleasant bodily fluids from your children. The magical baby bag insert. 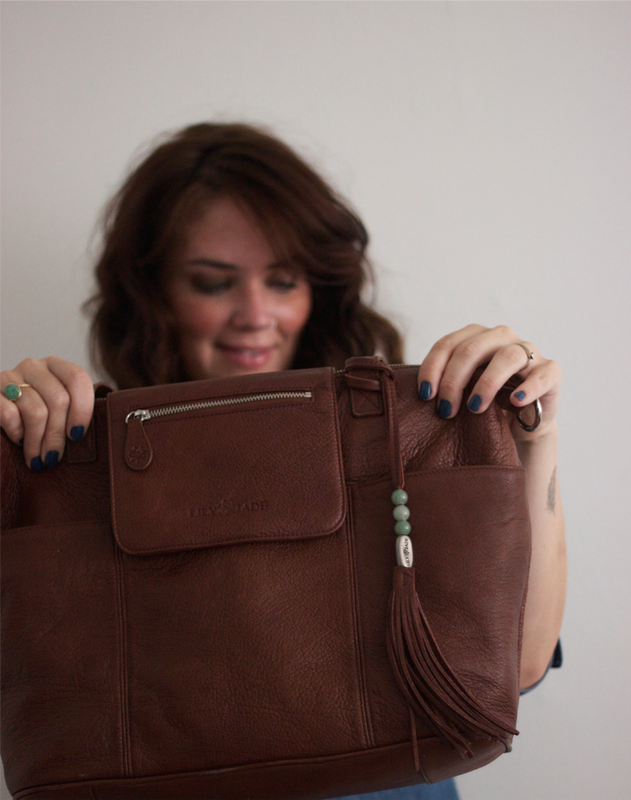 If you're a mama in need of a new bag (Is there a mom that doesn't fit this category?) look no further! 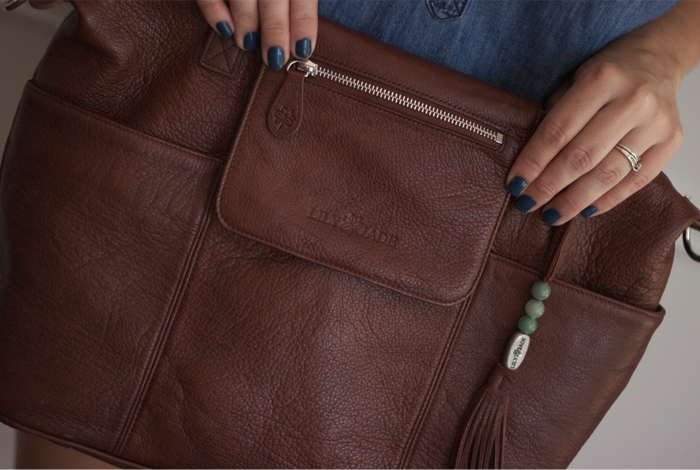 You can see all of Lily Jade's bag here, and today is your day because they are all on sale! My new favorite is Elizabeth in Camel. You can find Lily Jade on Facebook, twitter, and instagram.